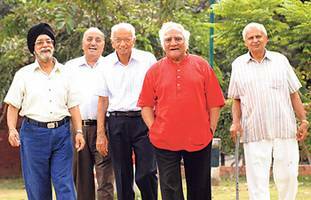 Pensioners – Pension Policy – Central Civil Services – FAQ on Fixed Medical Allowance. CGHS facilities available for the Central Govt Employees. Frequently asked questions on Fixed Medical Allowance (FMA) for Central Civil Services Pensioners. 1) What is the medical allowance for pensioners? Fixed medical allowance @ Rs.500/- is granted to the pensioners residing in areas not covered by CGHS, if they are not using CGHS facility for OPD treatment from a CGHS dispensary in the nearest city. The pensioners living in cosmopolitan cities not covered by CGHS dispensary are also eligible on production of a certificate to that effect. 2) Are the Government Employees who have not applied for CGHS card in spite of residing in areas covered by CGHS, also eligible for Fixed Medical Allowance? The CGHS facility is meant for the serving Central Govt employees and pensioners residing in specified areas. Fixed Medical Allowance is granted to pensioners living in non-CGHS areas, for the CGHS facilities not available to them. The pensioners residing in CGHS areas cannot opt out of CGHS and avail any other medical facility (i.e. Fixed Medical Allowance). Therefore, such pensioners, if they do not choose to avail CGHS facility by depositing the required contributions, cannot be granted Fixed Medical Allowance in lieu of CGHS. 3) In the case of those Pensioners who are in receipt of two pensions viz., service pension and family pension OR military pension and another civil pension to which category of pension, medical allowance shall be allocated. If any pensioner or family pensioner receives two pensions, only single medical allowance is admissible, if he/she does not avail of the medical facilities provided by the respective organizations As regards, pensioner who gets both military pension and civil pension, if the pensioner avails of the medical facilities provided by one of the civil or military organisations, he is not entitled to medical allowance and if he does not avail medical facilities from any of the organizations, he is entitled to medical allowances for only one of the two pensions.